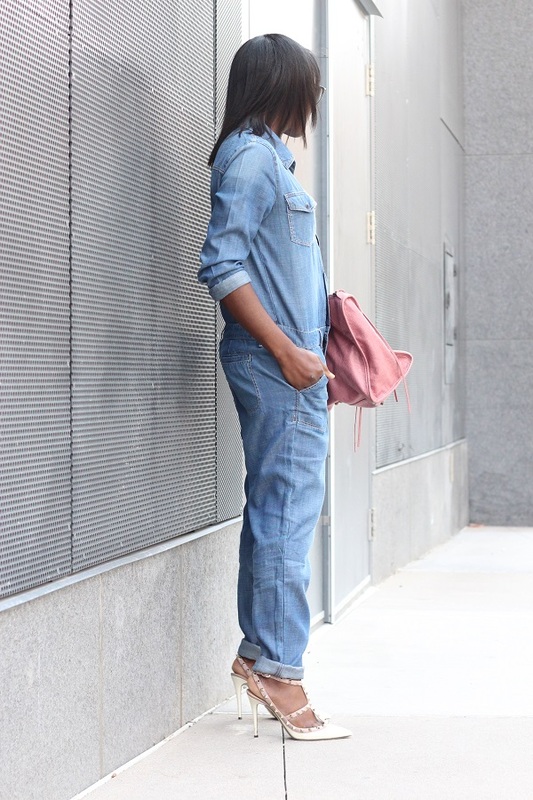 I hope all have had a wonderful week, I for one am glad that it’s Friday. 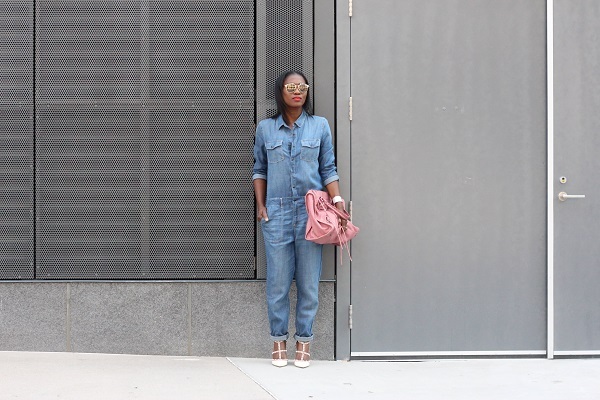 On this day a denim jumpsuit makes a play. 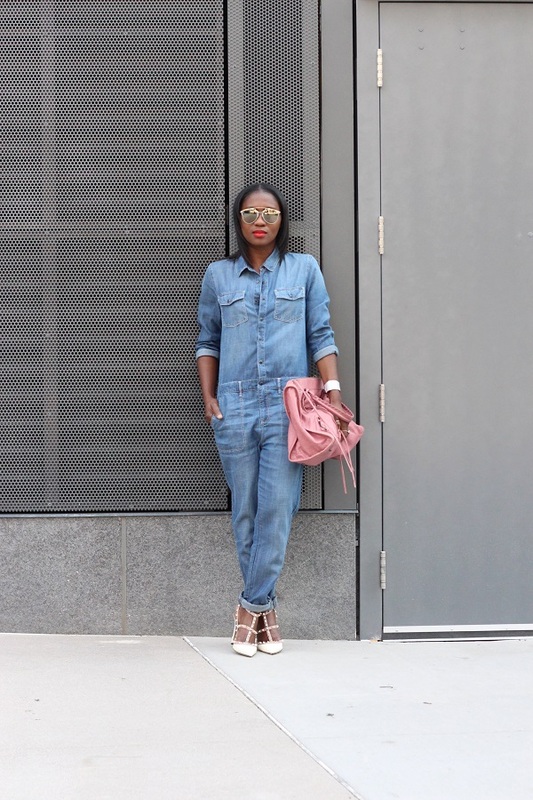 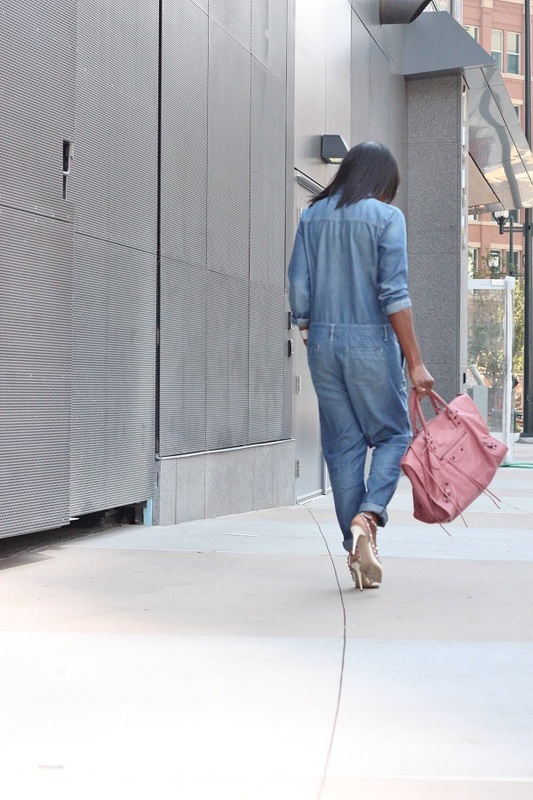 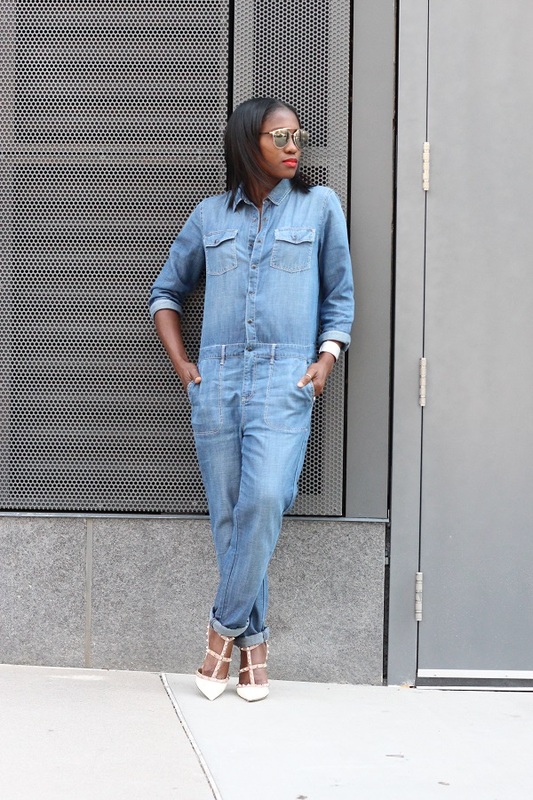 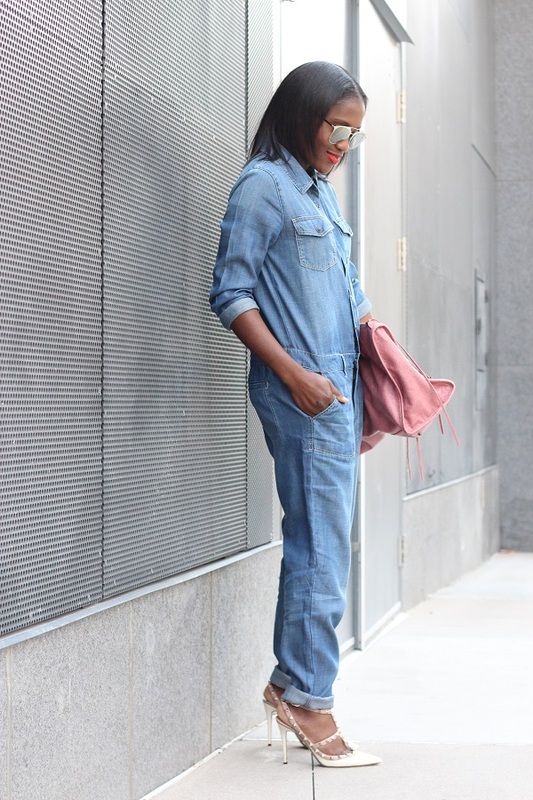 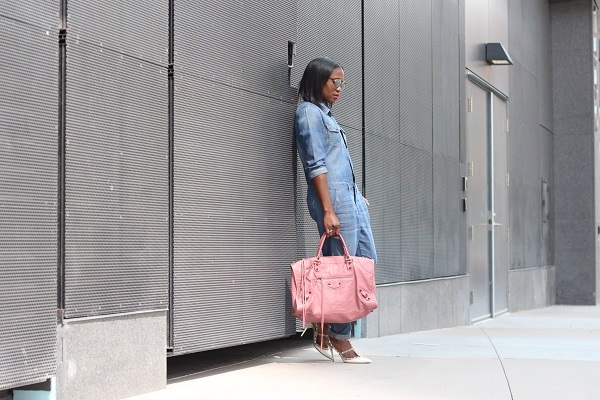 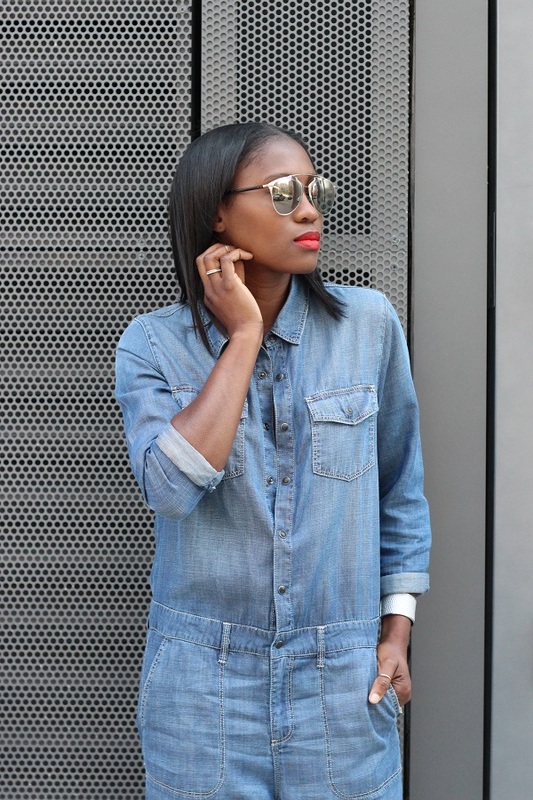 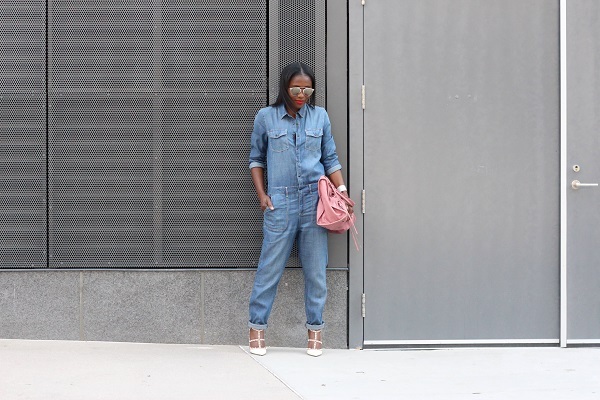 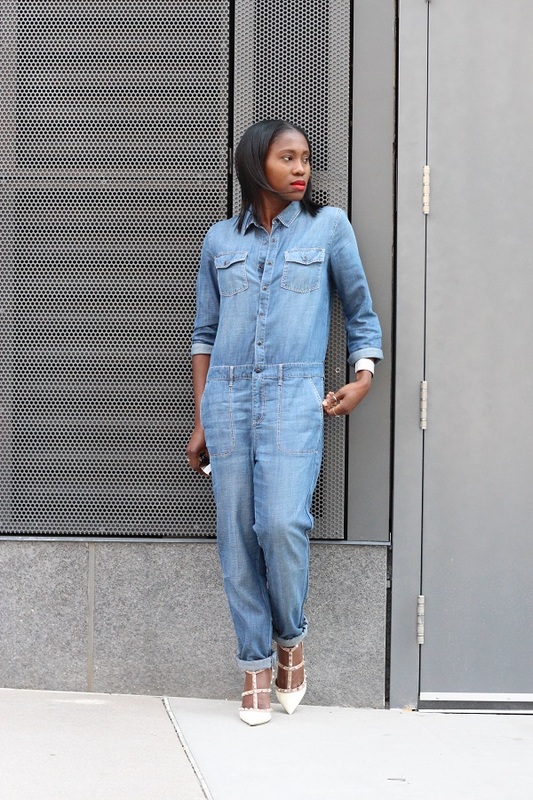 It’s no secret that I love jumpsuits, it’s a fun one-stop look, not to mention they can be quite chic. 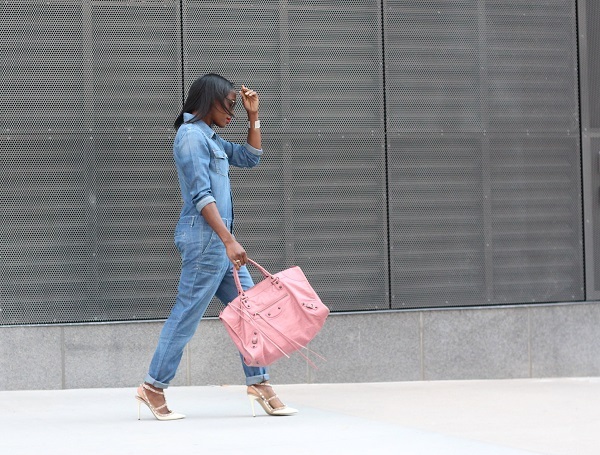 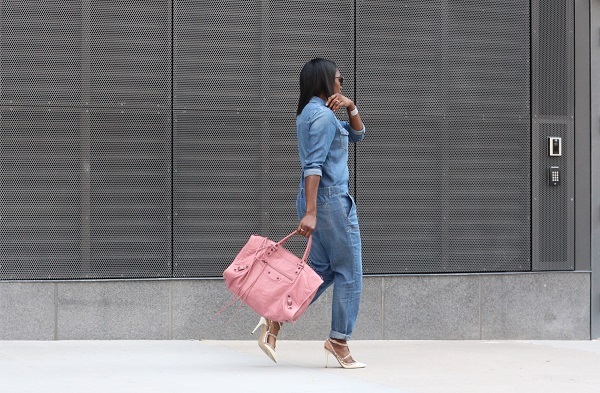 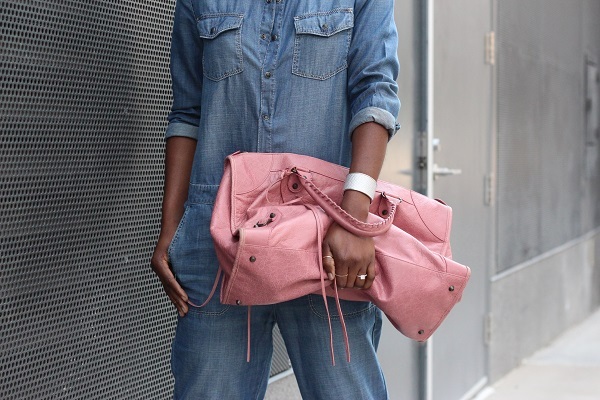 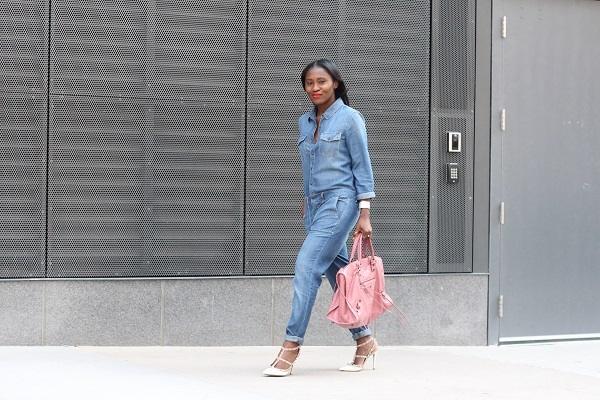 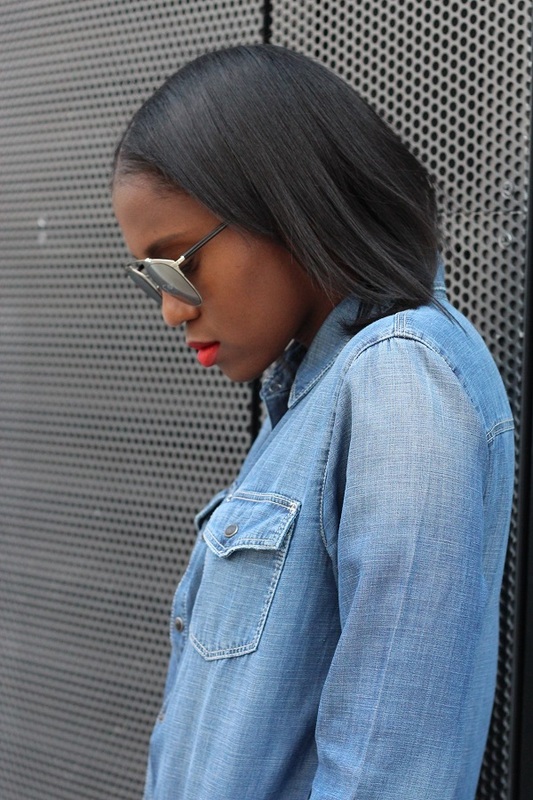 I styled this denim version with an over-sized pink bag, and off white heels, the colours balance each other quite well.